Struggling to come up with gift idea's for children this year? Well I decided to put together a few gift ideas that are a little more unusual. Hopefully there is something that would suit children of all ages and either a boy or girl. So let's get started! First up is a Merlin Pass, this pass is valid for 12 months and allows entry to over 32 attractions across the country! Including Sea Life Centres, Thorpe Park, Lego Land there is certainly something that everyone will love and can love over and over again throughout the year. I think I would be pretty happy with this gift myself! Next is something for all your little super heroes... A cape and mask! This one is from Not on the High Street and it's something I'm thinking of getting Darcie. She is always asking me to tie tops around her so she can pretend she can have a cape followed by launching herself of the sofa! Next is another gift I would actually love, a colour in t-shirt! It's such a great idea for those little artists. With little ones, Christmas usually means you are going to need to find space for all those extra toys. So why not get them a beautiful personalised toy box? This toy box has a padded lid which means it can double up as a chair too. Next, another gift that keeps on giving is sign them up to some kind of activity. Darcie now goes to Ballet & Tap and its one of the best things we have done for her. She is learning new skills, developing confidence and making new friends. This toothbrush holder is super cute and practical too! A perfect stocking filler for your Dino lovers. Lastly is this very special play tent from Canvas & Willow. This Pirate design is beautiful, and opens up children to a world of imaginations. This would be perfect for either a boy or girl. Darcie has had a little look at this and is now asking me constantly for a pirate tent!! Best I save some pennies! 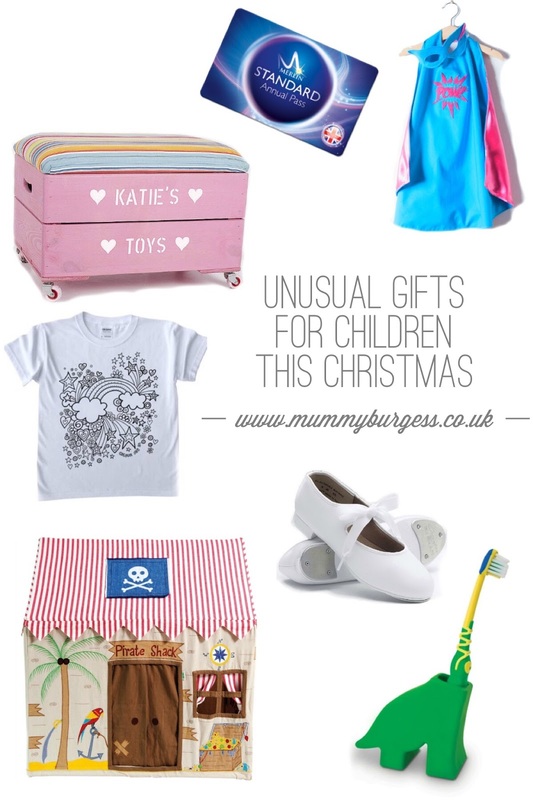 What are on your children's Christmas lists this year?